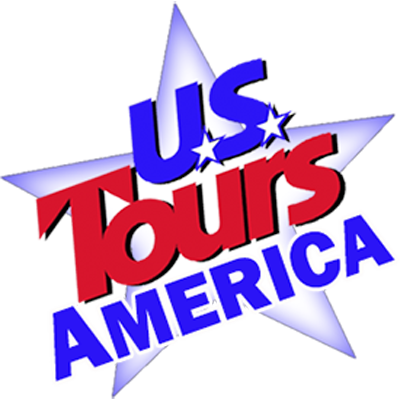 Our Rock and Dell combo tour spends a full day in Wisconsin Dells with an Upper Dells Boat Cruise, and the fabulous Thresher’s Dinner at the Thunder Valley Inn. It also includes our complete House on the Rock and European Wonders Tour. This is a great overview of the region’s Natural History as well as it’s Cultural History and Heritage. Day 1 – Travel to the House on the Rock for a four night stay. On arrival, you will enjoy a Welcome Reception while luggage is taken to your rooms. Dinner will be served at the Inn once everyone has a chance to freshen up. Day 2 – After breakfast, your group will enjoy a tour of the famous House on the Rock. This museum was the vision of an eclectic named Alex Jordan and is filled with sights and sounds that literally stimulate the senses. Jordan wanted guests to question his creation, to come to their own conclusions and to turn his world of dreams into theirs. Room after room is filled with some of the world’s most unique and unusual items from the smallest details of an intricately furnished doll house collection to the world’s largest indoor carousel. Each exhibit is filled with the exotic, the majestic and the unexpected. Lunch is at leisure at any of the numerous dining facilities here. Next, you have time for shopping in Mineral Point. Visitors are often heard to say they felt like they stumbled into a quaint European village. The downtown is brimming with studios and galleries, antique and specialty shops. Then you have a delicious dinner tonight in the unique atmosphere of the Potosi Brewery. There will also be a brewery tour where you will learn of their history and have a chance to visit a wonderful gift shop. Day 3 – This morning, you tour the Cave of the Mounds, a National Natural Landmark and a geological wonder, it’s like spending quality time with Mother Nature. You will stroll through the butterfly and flower gardens, then, step into the magical underground world of the Cave of the Mounds. Here, over a million years ago, water formed and dissolved the rock to create amazing crystal statues. Then this afternoon, enjoy a tour and tasting at the Fisher King Winery. Get a fresh perspective on the fruit of the wine with a visit to Fisher King Winery. Legend has it that the Fisher King was tasked with keeping ancient relics securely hidden and cherished, so it’s only fitting that Fisher King Winery strives to be the holy grail of Midwestern wineries. Dinner tonight is as much fun as your afternoon. You will be dining at the Grumpy Troll located in the historic Mount Horeb Creamery building. Day 4 – This morning travel to Wisconsin Dells, WI and enjoy a boat ride on the Upper Dells. Marvel at the high cliffs and dramatic formations, navigate through the treacherous Devil’s Elbow, and go ashore to explore mysterious Witches Gulch and see the famous dog leap at Stand Rock. Next, tour to the H.H. Bennett Studio, one of the great historic Wisconsin Dells attractions. The location is a certified Wisconsin historical site and is the original studio of the famed 19th century landscape photographer who is credited with making the Dells famous. Then you will have free time for lunch on own and shopping in downtown. There are a variety of shops including gift shops, antique stores, art galleries, apparel boutiques and more! Indulge in sweet treats, like fudge, saltwater taffy and gourmet caramel apples. The shopping district has a wonderfully quaint hometown atmosphere that you’ll only find in Downtown Wisconsin Dells. Tonight enjoy a dinner show at Thunder Valley Inn. It’s an old fashioned thresher’s dinner with delicious home-cooked food, a sing-a-long and Scandinavian Music. Return to the House on the Rock this evening. Day 5 – Lastly, no visit to Wisconsin would be complete without a tour of the Cedar Grove Cheese Factory. You will see premium cheese being made the old fashioned way and have a chance to visit the gift shop before starting home.